The Buddhist Archive of Photography, now the Buddhist Archives of Luang Prabang, is an important international research institution on Luang Prabang Buddhism, the town's history in general and indeed on the Lao nation. As such it has developed a philosophy of publishing in an effort to broaden the understanding if its work and provide wide-ranging educational tools for local and international scholars and students. A number of the publications have been prepared in conjunction with the National Library of Laos in the capital, Vientiane, while most have been co-published with Anantha Publishing. 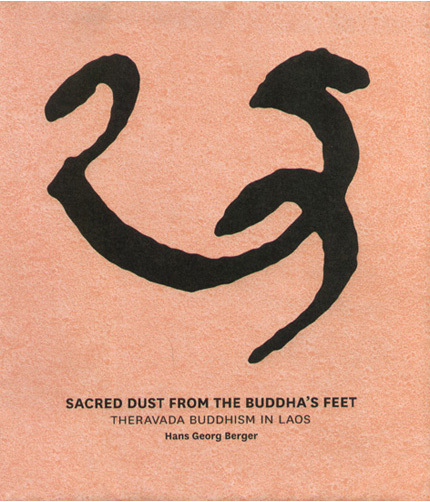 Titles range from "Treasures of the Buddhist Archive of Photography"; "The Great Monks of Luang Prabang" to the forthcoming "The Lao Sangha and Modernity", the latter already being hailed as the most important book in recent memory on the history, culture and personalities of Luang Prabang's unique Theravada Buddhism. 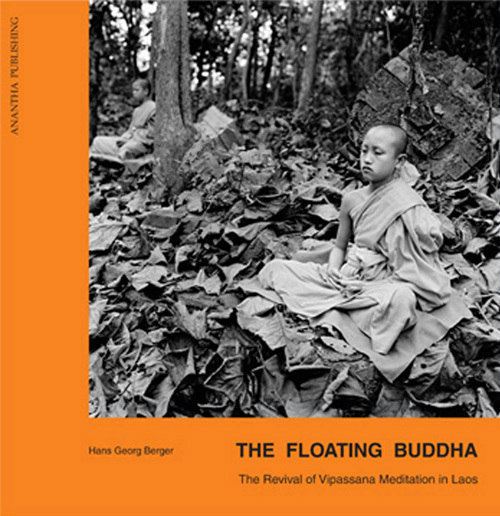 Hans Georg Berger's classic publication on Vipassana Meditation is an invaluable research tool on the revival of Buddhist Vipassana Meditation in Luang Prabang, and indeed in the Lao nation. 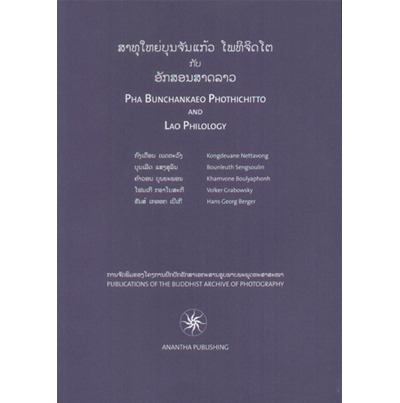 One of the most important books ever published on Lao language and philology, Pha Bunchankaeo Pothichitto's early writings and research have been assembled by Archive staff and expert international consultants. 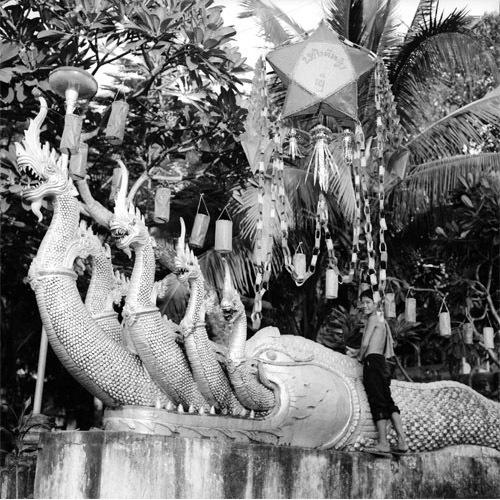 An image from "The Learning Photographer" a collection of essays by distinguished writers and critics on Berger's work on photography in Luang Prabang. This image is entitled "Thank You for Looking". 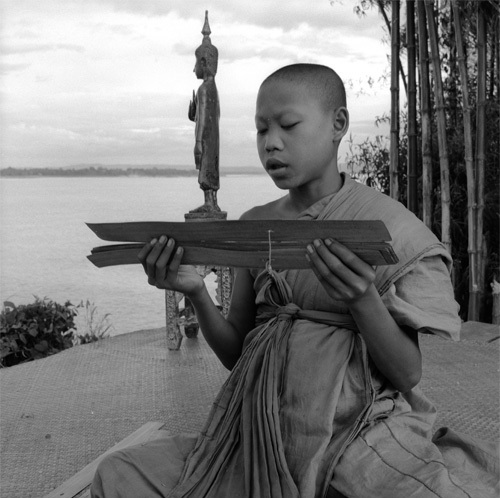 From "The Manuscrips of Laos", Co-Published with Chulalongkorn University in Bangkok, this image depicts a young novice studying a classing palm-leaf manuscrip on the banks of the Mekong River. 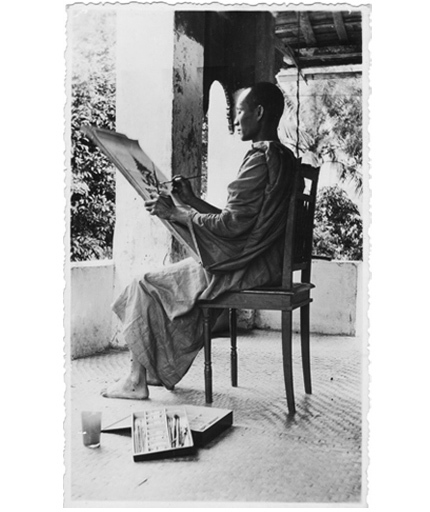 "The Great Monks of Luang Prabang, 1854-2007" documents the lives of numerous monk intellecuals, writers and artists. This studio portrait is of the skilled photographer Pha Oun Heuane Hasapanya, a monk at Vat Nong Si Khun Meuang. A selection of Hans Georg Berger's photographs of Buddhist life in Luang Prabang in combind with a facsimile of an historic manuscrip of the Monks' Rules of Conduct, hand-written by Pha Khamchan Virachitta Maha Thela in the rare Lao Tham Pali script, with an English translation. 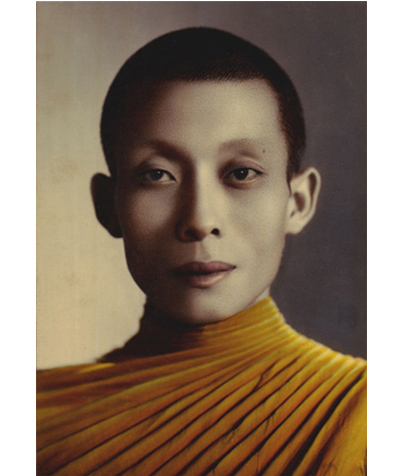 "Treasures of the Buddhist Archive of Photography" documents historic photographs taken of collected by the monks of Luang Prabang between 1890 and 2007. This image is of the revered monk, artist, writer and architect Pha Kham fan Silasangvaro, abbot of Wat Khili.